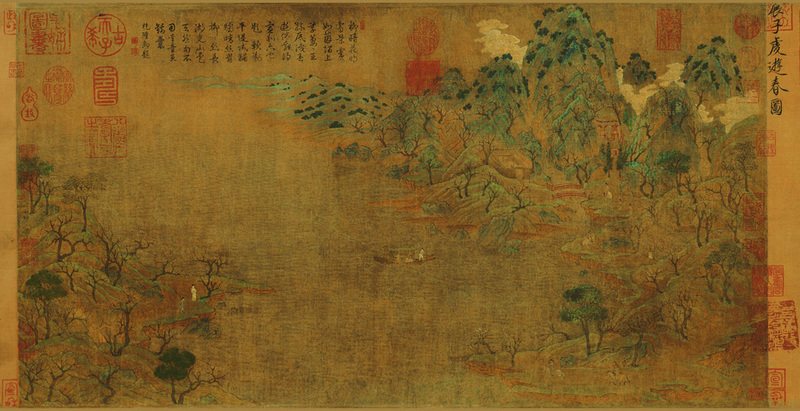 Strolling About In Spring by Zhan Ziqian can be classified as “Sui Dynasty Chinese art” – not really a well-known “art movement” according to mainstream art history. The long answer is: no, but the fact that so much of art history is focused on “movements” reflects a great deal about the way that mainstream Western art history operates. The reason for this focus on art movements is that this sort of classification means that it’s easier to talk about an artwork’s style, influence and cultural meaning. It’s useful. But it’s also pretty limiting if it’s the only way that we look at art history. Most art movements before the nineteenth century were named after they actually happened. Rococo (a French 18th century art style), for example, was not named until 1836 in England. The Renaissance (which occurred during the 13th – 16th centuries) was only named as such in the 19th century. If we go even further back, artworks are sorted into categories based on their geographical region and time period. In fact, art movements in Europe weren’t really given names at all until the 19th century. When non-Western art is introduced into the Western canon, it’s also generally sorted according to its geographical region and time period. So focusing on the study of art movements limits us to a very small time period, and a very small geographical region. Even when we’re talking about movements during the nineteenth and twentieth centuries, we run into problems with classification. Impressionism, for example, was a name imposed by the public on a large group of radical painters who exhibited together – officially called “Société Anonyme Coopérative des Artistes Peintres, Sculpteurs, Graveurs” (“Cooperative and Anonymous Association of Painters, Sculptors, and Engravers”) – and they did not all agree on what it meant or whether that’s what they wanted to be called. Many artists who we call Impressionists, such as Edgar Degas or Edouard Manet, actually rejected that label. 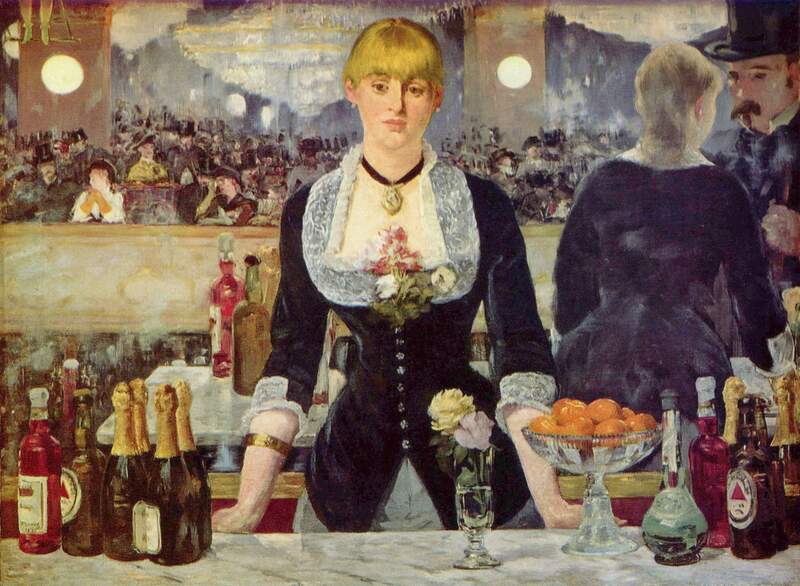 A Bar At The Folies-Bergère by Edouard Manet – NOT an Impressionist painting. This means that in many cases, when we classify an artist according to a particular art movement, we risk misunderstanding their practice and narrowing our understanding of their work. In conclusion: classification is useful, and being familiar with named art movements is also useful, but it should not be the only way through which we study art history. And the reason for that is precisely because not all artists can be classified as part of a particular movement. “I’m wondering about cobalt and the story about blue colours being so expensive in the past”: A Very Short History of Colours. Interestingly, Dadaism was a movement against everyone and everything, including itself. Can I ask then if A Bar At The Folies-Bergère by Edouard Manet is not an impressionist painting, does it fall under a different movement? I understand his style is quite distinct in comparison to full-fledged impressionists such as Monet, Renoir or Pissaro. The tricky thing is that many paintings can’t really be placed in a movement, which is part of the reason why organising art history through movements is so limiting. Edouard Manet was influenced by a number of different styles and movements, most clearly the Naturalist and Realist impulse that was spreading over Europe in the 19th century. However, because he didn’t ideologically align himself with any movement, we can’t really say exactly what movement A Bar At The Folies-Bergère falls under – and that’s ok! His style is quite distinct from many of the Impressionists, but his work was hugely influential for them, which is why he’s often called the “Father of Impressionism” (even though he never exhibited with them).